John is an experienced professional with 15 years of experience in exterior cleaning. He has the tools, know-how and reliability to get the job done right the first time. 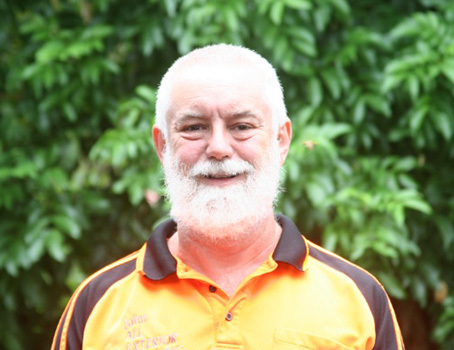 Hi, I’m John, and I’m (nearly) a local (I’ve only lived in Moggill since 1998), and I have been All Exterior Cleaning since 2003. Improve your home’s look and value by having me soft-wash your house & thoroughly clean your driveway, paths, patios, pool area, BBQ area, tennis court etc. All Exterior Cleaning – it’s just me. I answer the phone and email, I do the free on-site quotes, and I do all the work. There are no employees, technicians or sub-contractors, it’s just me. When you deal with All Exterior Cleaning you deal with me & only me, so you get the service, knowledge and attention to detail that only the business owner can give – a 100% commitment to your satisfaction. John provides a wide variety of exterior cleaning services that meet the needs of your home or business. Cleaning done at it’s best. See the difference experience makes. John is an experienced professional, by using the right chemicals and amount of pressure, he can improve the look and value of your home. See the difference that his experience makes. Watch John at work making it all look new again through gentle yet effective exterior cleaning. Hi, I’m John from All Exterior Cleaning, and I can improve the look and value of your home. How? By cleaning all the outside surfaces – from the gutters down to the ground and all the surfaces around with the right cleaning products & the right amount of pressure. Exterior Cleaning methods used include Soft-Washing, Hand-Brushing, Low-Pressure Cleaning, High-Pressure Water Blasting. How I clean your home depends on the surface and what dirt needs to be washed away. There is no single, simple formula for exterior cleaning. Your house, your paths, your driveway, your timber deck or your tennis court are all different and have different contaminants, so they need different methods. Cleaning is a combination of the right chemical to kill the mould, lift the dirt & oil; enough time for the cleaning solution to work; enough agitation or pressure to break up the layers; and enough water to rinse it all away. Some jobs are a simple spray & rinse, while other jobs require a stronger cleaning solution and more agitation & pressure, or time. After 15 years of external cleaning, I have developed a variety of cleaning methods, equipment, and chemicals available to suit your home or business requirements and budget. Sick of corner cutters? Work with a professional! Exterior Cleaning is a complex job, and I always prefer to inspect before quoting – no quick look at the Google satellite and street view images on the computer. But a careful examination of your property plus a detailed explanation of what I will do and what results you can expect. Get the job done correctly the first time. When you call All Exterior Cleaning you get John. There is no-one else; there are no employees, no technicians, no subcontractors — just John and the attention, knowledge & expertise that only the business owner can give. Thank you for your efforts – the complex looks much cleaner. Thank you for your excellent work this week.